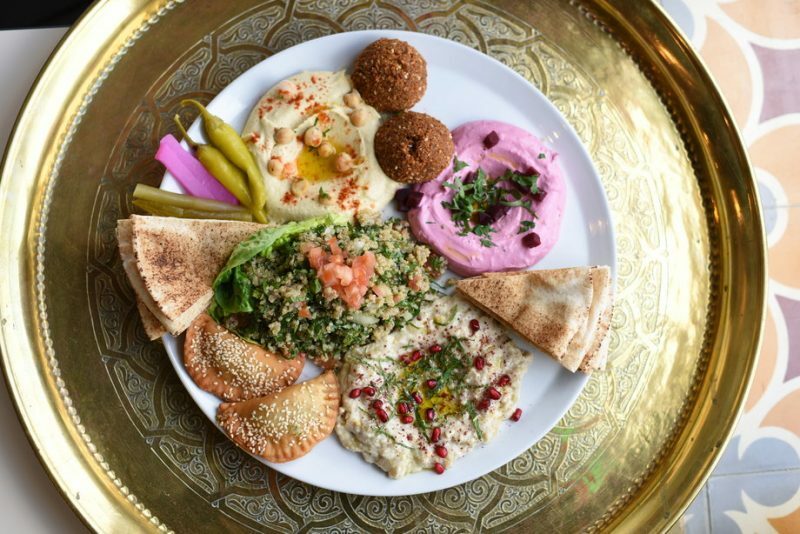 To spread love and awareness about what Ramadan is and to cultivate the inclusivity that is at the heart of the festival, Tony and the Comptoir Libanais team are putting together a special sharing menu for the period. The menu will be inspired by traditional recipes cooked by mothers all over the Middle East and North Africa during Ramadan and will be available for everyone every day from 6pm. The feast menu starts with a little something to break the fast – traditionally this is quite light – so there’s some gorgeous dates and a refreshing honey yogurt drink. The drink to enjoy with your meal is Amardine, an apricot juice, served chilled with raisins and crushed ice. Their mezze starter features a soup of the day or lamb harira – the traditional North African soup made with tender pieces of lamb and chickpeas and spiced with chilli and cumin. There’s also fattoush salad – a Lebanese village salad – with tomatoes, cucumber and toasted pitta – and hommos, one of their favourite dips made from chickpeas and tahina. Samboussek – bite-size pastries, filled with feta and halloumi – these are very moreish! Also beetroot labneh (the natural yogurt cheese mixed with beetroot) is a delicious dip made from sweet beetroot and labneh, their traditional strained yogurt cheese. For the main course, there are four choices: a mixed grill which is a combination of lamb kofta, chicken kofta and chicken shish taouk cooked on the hot grill and served with vermicelli rice and salad. Their vegetarian offering is aubergine moussaka. There’s also chicken and green olive tagine, their traditional stew made marinated chicken breast, baby carrots, lemons, green olives and spices. And lastly there’s fattet kibbeh, which is minced lamb and bulghar wheat parcels served with a tahina and yogurt sauce, fried onions and pomegranate and served with rice. For pudding, there is mouhalabia, which is a Lebanese milk pudding, served with confit of dried fruits, orange blossom water. This is a set milk dessert and is a wonderful contrast to the fruit sauce enjoyed with it. Finish your meal with fresh rose mint tea or coffee and a plate of our traditional sweet baklawa, made with pastry, nuts and doused in a honey syrup.